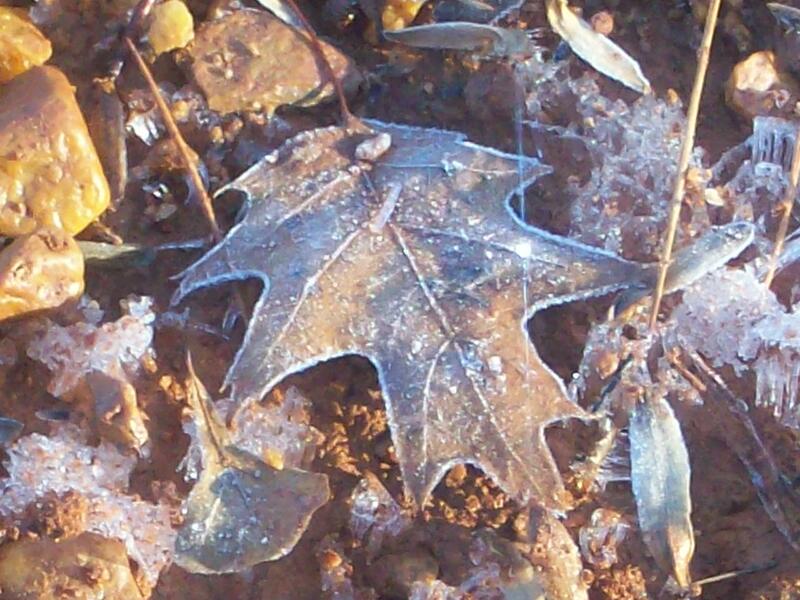 My son and I enjoyed viewing this frosty oak leaf on the shore of Lake Lanier in Gainesville, Georgia while camping last weekend. The tiny icicles that formed on the bottoms of the stones were pretty neat, too! Overnighting in freezing temperatures and taking in the sun’s warm afternoon rays, it was nice to enjoy the wintry outdoors. I hope you enjoy the photo, too!